Barbecue logo template. Barbecue logo template bbq stamp. vector illustration. Wolf howling. Brochure poster or logo template. Vector illustration. Real estate simple key logo template. Vector illustration. Business card template with logo for restaurant, cafe, bar or fast food. Vector illustration. Howling wolf in the forest. Logo template on realistic, vintage price tag, clothing label and wooden planks. Vector illustration. Business card template. Light bulb with jigsaw puzzle pieces inside. Conceptual logo. Vector illustration. 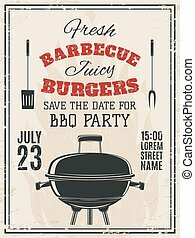 Vintage barbecue party invitation. Food flyer template. Vector illustration. 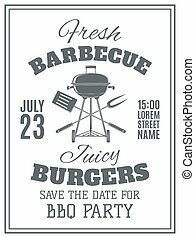 Vintage barbecue party invitation. BBQ food flyer template. Vector illustration.